Hello! 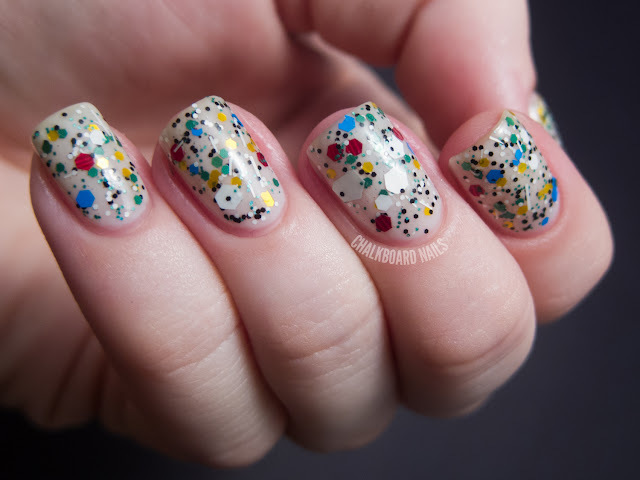 Today's post is another batch of indie polish swatches! These ones come from Naild'it Unique Nail Polish. 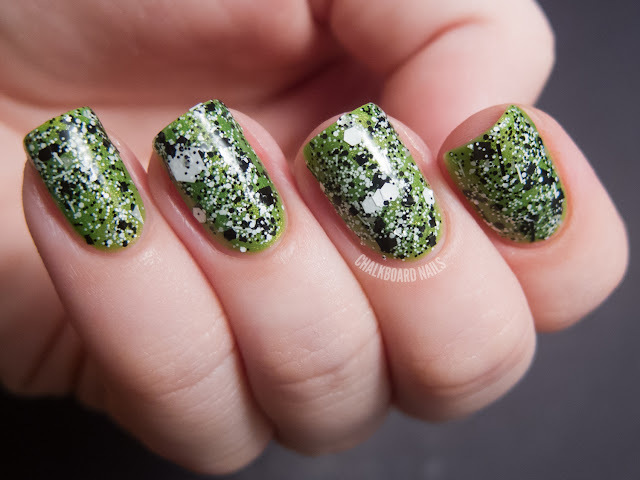 Naild'it makes some really neat glitter bombs, and her listing photos on Etsy are SO enticing that I want to buy them all! I've got three polishes to share with you today. First up we have Froggy Pond. 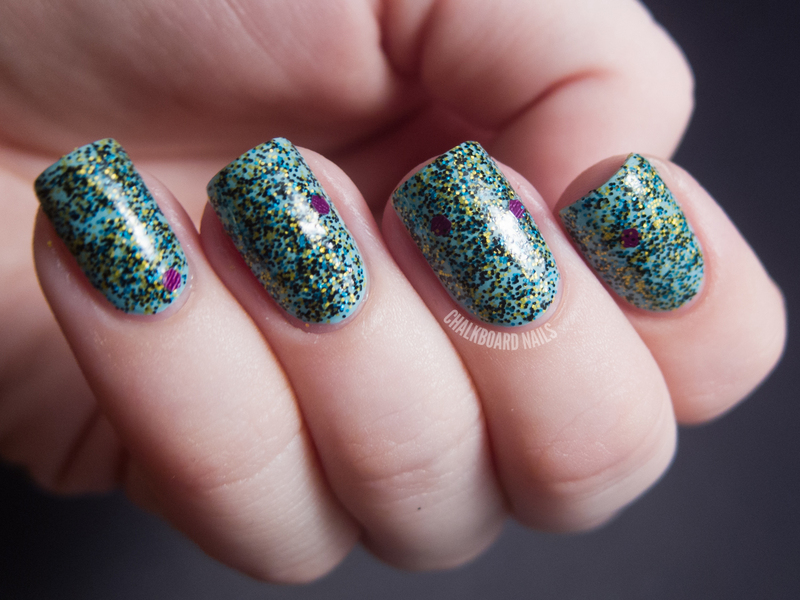 It's a microglitter topcoat made up of teal, yellow, and black, with small purple "lilypad" glitters here and there. I've shown one coat here over Nicole by OPI My Lifesaver. 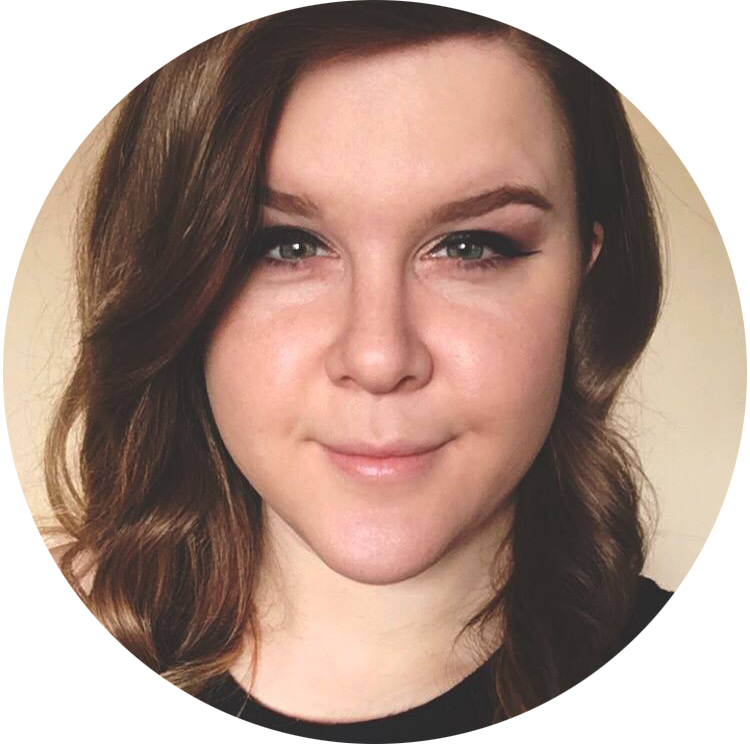 It applied smoothly and evenly, and you could definitely build this one up to full coverage if you wanted to. Olympic Rings is a polish that I purchased from Naild'it during the Olympics. I didn't see it in her most recent shop restock, but I did see the other two Olympic lacquers. This is one coat of it (with a little spot filling here and there) over OPI Don't Touch My Tutu! I really love this one -- the color and size combinations are really interesting. Zebra Tracks is a black and white topper that is absolutely packed to the gills with glitter. It was so dense with glitter that I did add a little thinner to it to make it go on more smoothly. This is just one coat over Cult Nails Deal With It. It has tiny glitters, small, medium, large, jumbo, square, bar... it's crazy! Overall I was very pleased with these polishes! I love Froggy Pond, but Olympic Rings snuck in at the last second to fight it for my affections. Zebra Tracks is obviously appealing to me for the black and white glitter aspect, and hopefully I will have it added to the comparison post soon. 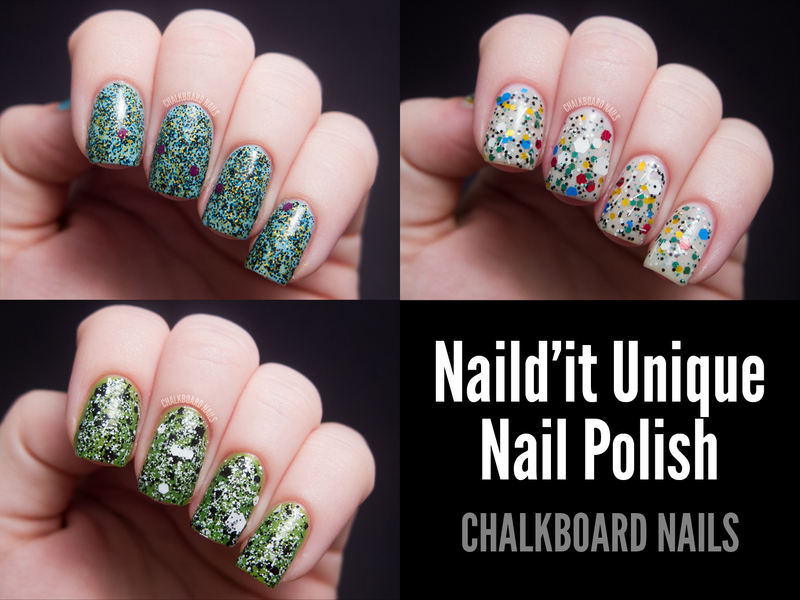 Naild'it Unique Nail Polishes are available on Etsy, and you can also keep up with the brand on Facebook for restock dates and times, plus sneak peeks at upcoming lacquers (like a glow in the dark glitter)! they are so cute and cool! I loved this! These really are unique! Bordering on "ugly" pretty haha. I love Olympic Rings and Zebra Tracks so much! I have Froggy Pond and Olympic Rings- I've never seen Zebra Tracks- lucky! I like her glitter bombs too- they look nice on you. These are so gorgeous! I absolutely love Froggy Pond the most and even Olympic Rings. Olympics Rings looks amazing ! Im in love with Olympic Rings! Zebra tracks over the green works so well. Great job on matching the colors! I like Olympic Rings, great swatches! and by the way Great Swatches! I bought zebra tracks last month but haven't used it yet. Now I'm inspired! Wow! That's pretty adorable! I want to have this combination!